Pfoho is delighted to welcome Shelly Lowe, Cedric Woods, and Meredith Vasta to our community, who have joined together to launch our new Native American House Fellows program. Over the year, they will be organizing a number of events and excursions, both for Pfoho students and the undergraduate community at large. Look for them also in the Dining Hall and at House events, and help us to welcome them! Cedric Woods is a Professor at UMass Boston, Director of their Institute for New England Native American Studies, and a citizen of the Lumbee Tribe of North Carolina. 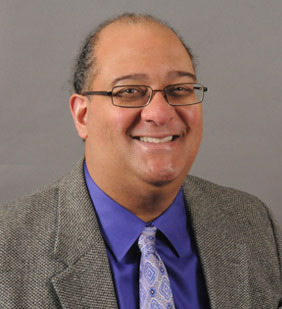 Prior to arriving at UMass Boston, Cedric completed a study on the evolution of tribal government among the Mashpee Wampanoag Tribe and the Mashantucket Pequot Tribal Nation, while serving in a variety of capacities for the Mashantucket Pequot Tribal Nation. He has also served as a consultant for the National Museum of the American Indian, the Haliwa Saponi Indian Tribe of North Carolina, and the Mashantucket Pequot Museum and Research Center. He is a member of the Board of Trustees of Plimoth Plantation, a bicultural living history museum in Plymouth, Massachusetts. Shelly C. Lowe is the Executive Director of the Harvard University Native American Program, and an enrolled member of the Navajo Nation. She is Bilagaana, born for Náneesht'ézhí Tách'iinii. Her paternal grandfather's clan is Tábaha. She grew up in Ganado, AZ on the Navajo Reservation. Shelly has most recently held the position of Assistant Dean for Native American Affairs in the Yale College Deans Office and Director of the Native American Cultural Center at Yale University. Prior to her position at Yale, she spent six years as the Graduate Education Program Facilitator for the American Indian Studies Programs at The University of Arizona. During her time at the University of Arizona she was actively involved in the Native American Student Affairs Office and the American Indian Alumni club. She has also served on the board of the National Indian Education Association and as a Board of Trustee for the National Museum of the American Indian. She has presented and published in the field of American Indian higher education and is currently completing her doctorate in Higher Education with a focus on American Indian student success and services. Meredith Vasta is the Collections Steward at the Harvard University Peabody Museum of Archaeology and Ethnology, and an enrolled member of the Turtle Mountain Band of Chippewa Indians. She has a PhD in Anthropology from the University of Connecticut where she specialized in archaeological research on the Mashantucket Pequot reservation. Previous to coming to the PMAE she worked at the Mashantucket Pequot Museum & Research Center for 15 years as the Collections Manager and Registrar. As a Collections Steward her job focuses not only on the preservation of the collections but also making them accessible to students, researchers, indigenous community members and others.